LW Consulting LLC specializes in supporting clients directly, as well as working with material handling companies and client consultants, to evaluate warehousing and distribution automation projects. 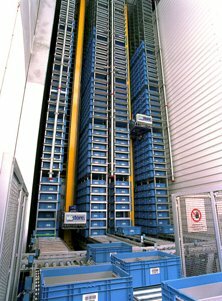 Specifically projects involving complex automated material handling including ASRS (automated storage and retrieval systems), conveyance technology & WMS (warehouse management systems) and control are assessed for technical and financial viability. The focus is to help clients determine which technologies, software, and equipment best match the short and long term requirements & goals of the company. LW Consulting LLC also specializes in evaluating the functionality and performance of existing systems. Frequently, the customer business model changes leaving the automation unable to perform either the performance or functionality needs of customers the business is serving. The focus is to determine if design changes to electromechanical or control systems can be made cost effectively and integrated safely to return the performance and functionality needed to execute the day to day business. Whether for new systems or upgrades to existing systems, vendor selection for projects is critical in executing recommended projects. Critical aspects of equipment suitability, installation capability, experience in the business sector, project experience, and technical and financial resources all need careful review. The focus is to establish metrics to gauge the best-in-class vendors and then determine the best value alternatives to recommend to the client. Len DeWeerdt, has over 25 years experience assessing client warehousing and distribution business requirements and subsequently developing automation solutions that are financially viable. Breath of experience matters. Equipment and control options can be very extensive and having familiarity with the wide array of equipment types, their features and benefits and track record is critical in making recommendations for new and upgrade projects. Moreover, implementation experience is critical in understanding the pitfalls of projects. LW Consulting specialist partners are brought in to assist in developing large or complex projects. IT, Project Management, and other specialists can be networked to clients to help them in stages beyond selection and into implementation. 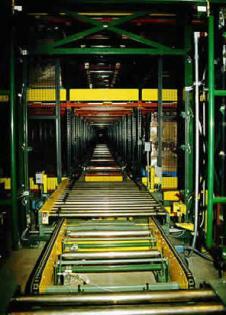 LW Consulting puts all the experience needed to assess, select, and overview material handling solutions.